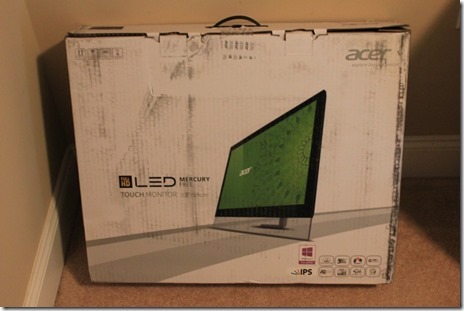 All of the talk lately has been about which laptop/slate developers are going to buy for Windows 8/Touchscreen development. 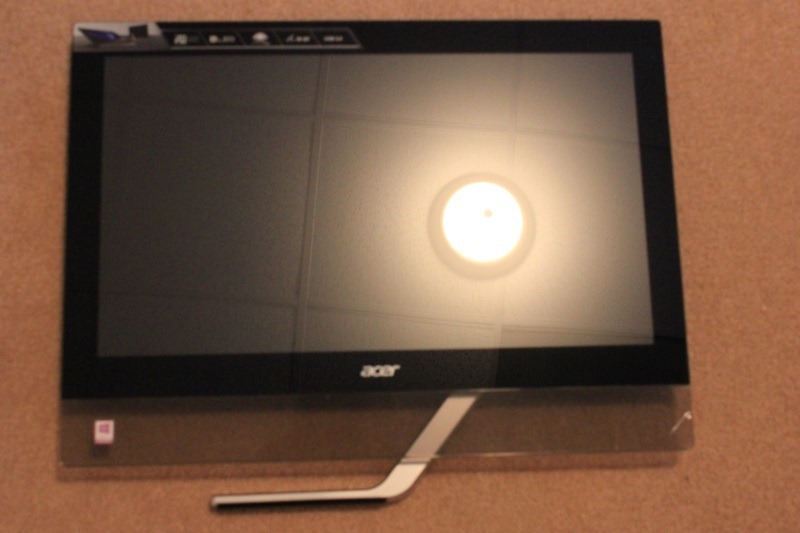 I haven’t seen any developers talking about which touchscreen monitors they are going to be using on their main “beefed-up” development machine. 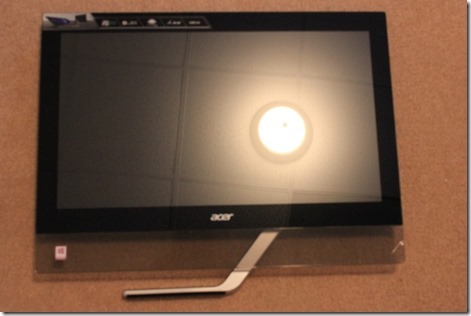 In this blog post I’m going to review the new Acer T232HL 23” Touchscreen monitor. 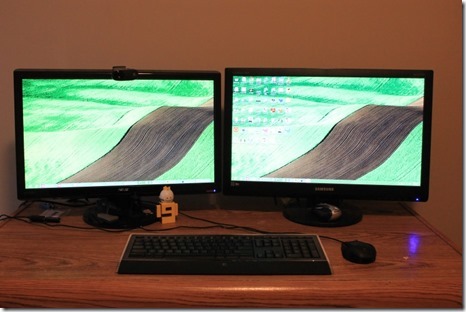 My setup consist of a docked ThinkPad W520 with 2 23” LED monitors and all the normal peripherals one might expect. It is super-fast includes a big SSD and even an external drive. As you might expect neither of the monitors are touch screen and while doing touchscreen WPF WinForms Windows 8 and Windows Phone 8 work I’m just using my mouse. 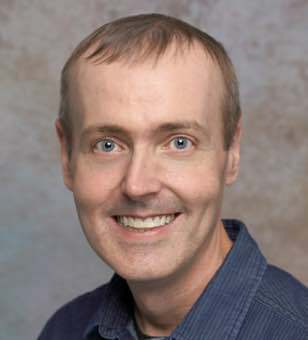 Any time I need to use “pinch-n-zoom” or other gestures then I have to use the Simulator in VS2012 or keyboard shortcuts. So with this in mind you can see why I would want to add at least one 23” touch screen to my existing setup. 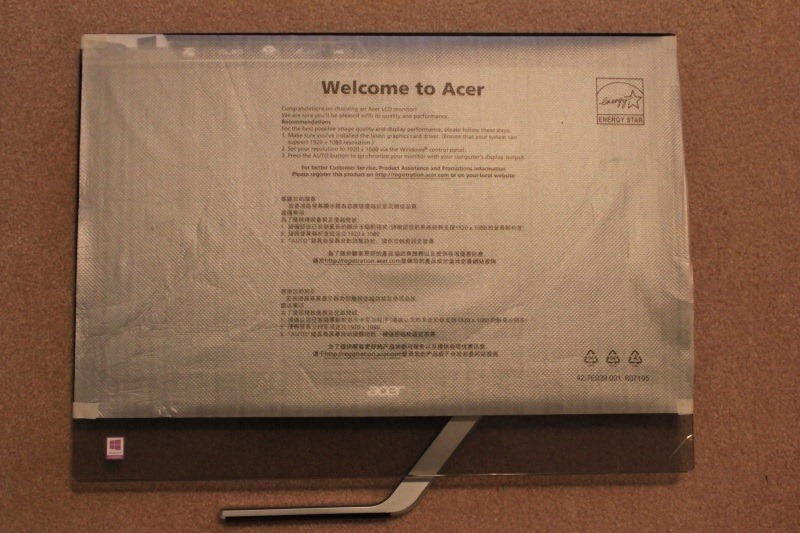 The Acer arrived in the following box and I’ve included several screenshots of what is included. 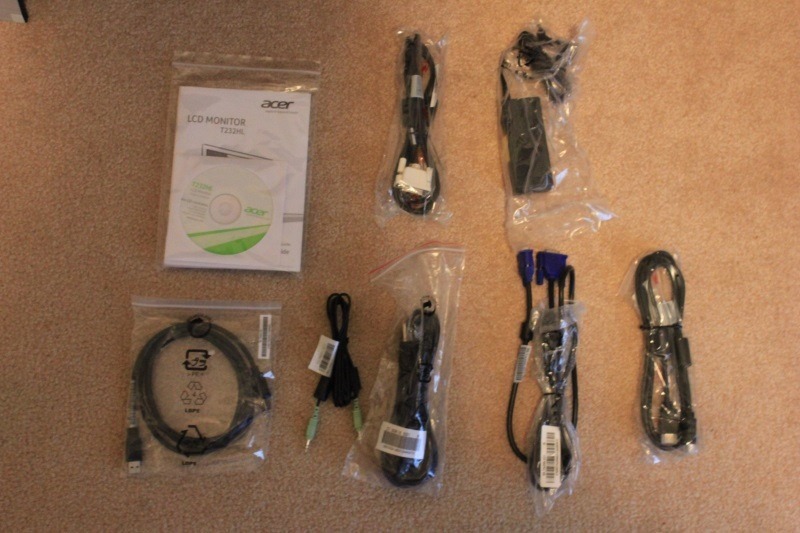 As you can see below it comes with the standard cables VGA DVI HDMI Audio Cables Power Supply (2 pieces) and USB cord to plug the monitor into the Windows 8 PC as well as a printed monitor/DVD with the manual on it. 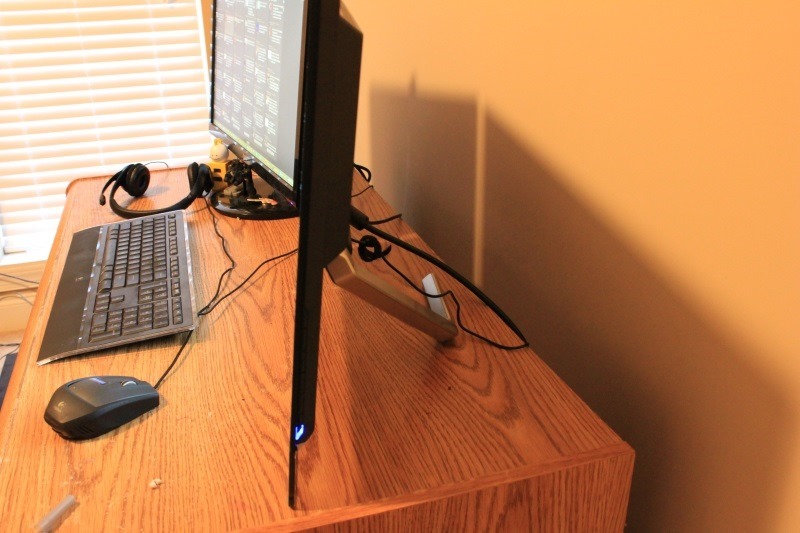 The screen is protected with this cover as well as another piece of plastic that you will take off once your monitor setup is complete. As you can see from the screenshot below we have the following connections starting from left to right. 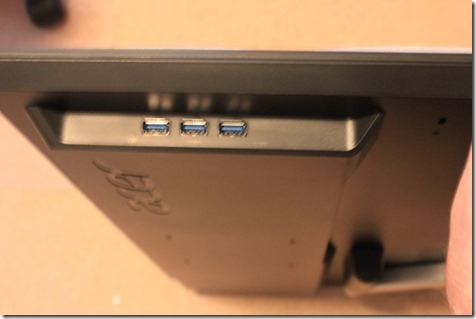 USB – to plug into your PC to get touch support. 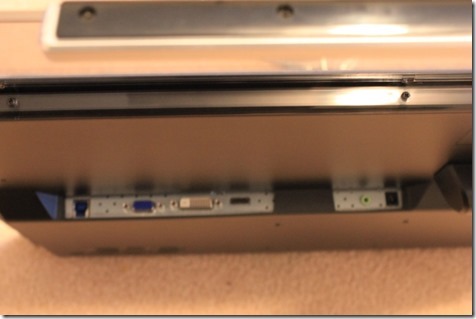 You also get 3 additional USB 3.0 ports on the side of the monitor. After I removed my old monitor and setup the new one not much changed in terms of my desktop appearance – but a major difference in screen clarity and touch support. 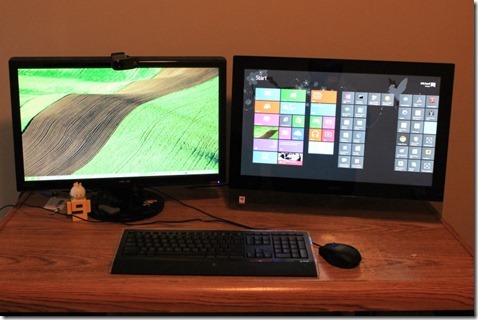 For one the touch support for Windows 8 worked out of the box. I immediately pulled up the charms bar and went to town. I also opened VS2012 and started the Windows Phone 8 Emulator and everything worked there (as expected). FYI: I did a lot of research before getting this monitor so you will see that I don’t have a lot to complain about. It is a rock-solid monitor for developers looking for a big touchscreen to use at home. I’ve listed out my pros/cons below. + All of the standard options to hook this up to a computer exist (VGA DVI HDMI). 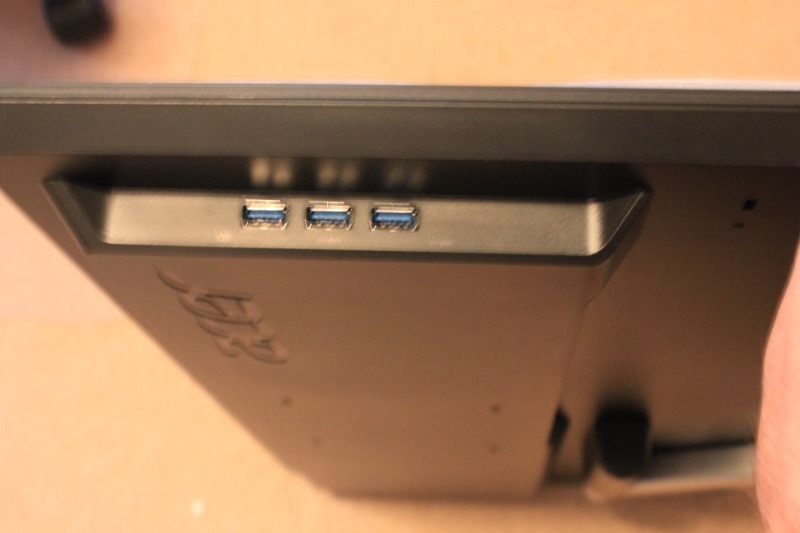 + Comes with 3 extra USB ports on the side of the monitor that are USB 3.0. + Certified with Windows 8 OS – works perfect using Windows Store Apps as well as everything else in the OS. 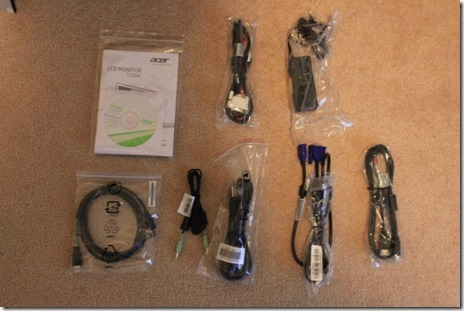 + Nothing to install on Windows 8. – Just plug in the USB cable and you are done. 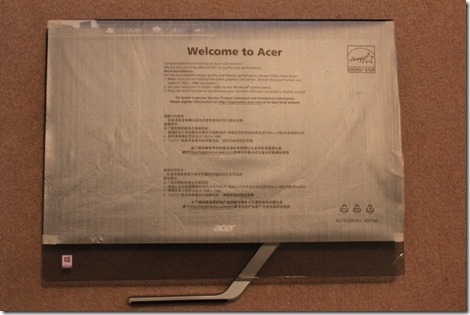 + Rich Screen colors and very thin. + Nice Manufacture 3 year warranty.